Product prices and availability are accurate as of 2019-04-16 15:43:47 UTC and are subject to change. Any price and availability information displayed on http://www.amazon.com/ at the time of purchase will apply to the purchase of this product. 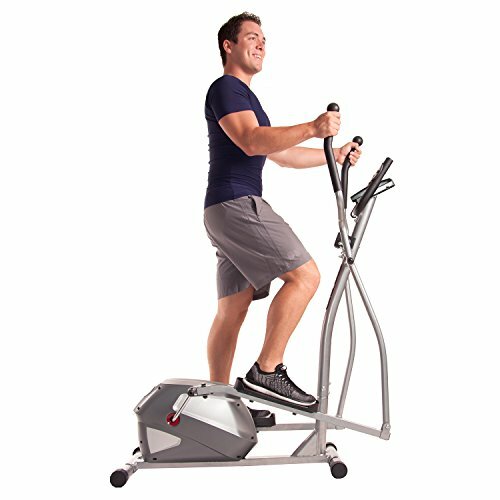 Fitness has never been easier than with the Body Champ BR1380 Magnetic Elliptical Trainer. 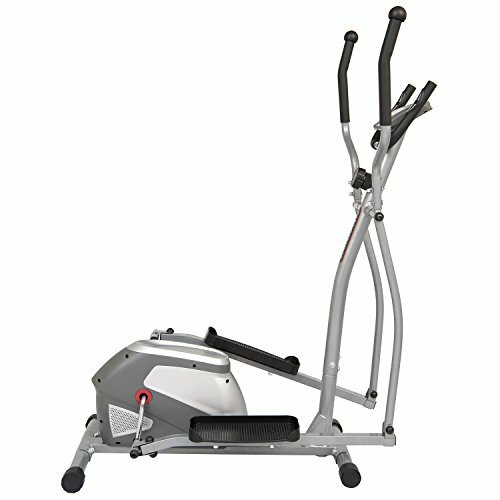 This low-impact trainer offers smooth and quiet workouts through its patented Magnetic Adjustable Resistance System. Eight preset magnetic resistance levels allow you to increase or decrease the intensity at the turn of a knob with no need for electricity, cords, or outlets to power through your next workout. 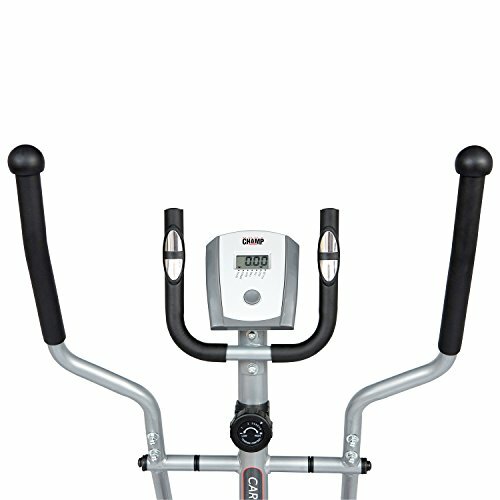 Integrated hand-grip heart rate sensors and an LCD monitor display let you easily track your progress and workout metrics, including heart rate, speed, time, distance, and calories burned. 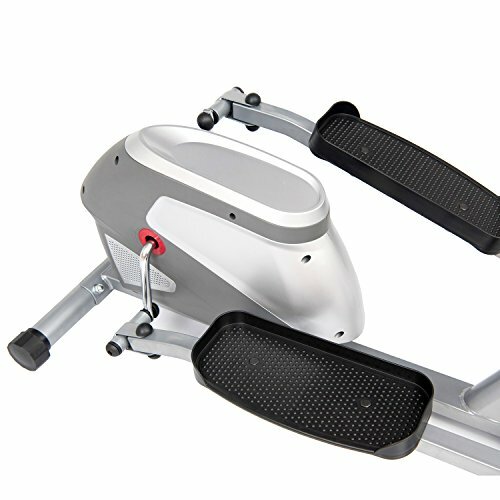 Additional Information:Features 2 sets of ergonomic handlebars and bidirectional foot pedals for forward and backward movement Convenient step-through design for easy on/off access Includes a full exercise DVD to guide your workouts Low-impact patented Magnetic Adjustable Resistance System. 8 resistance level options. 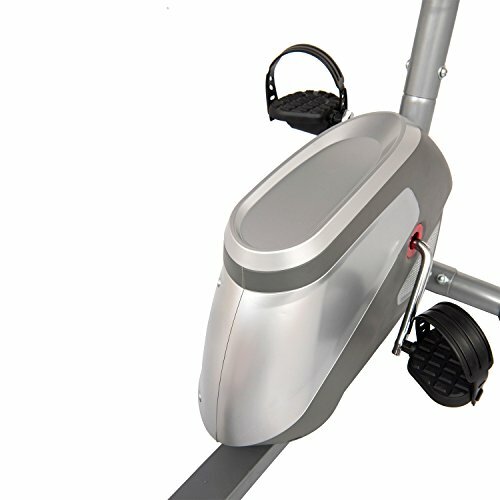 Weight capacity: 300 lbs.. Includes 1-year limited warranty. 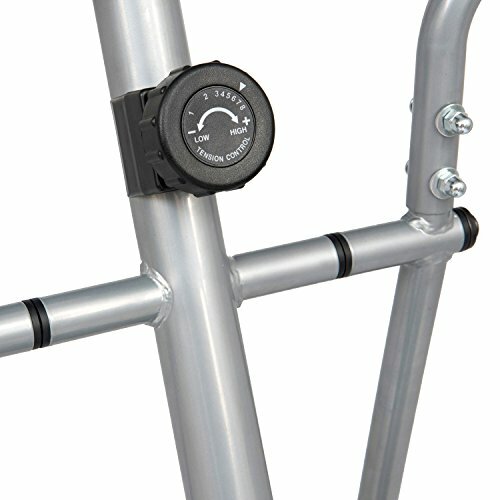 Dimensions: 46.5L x 23.25W x 58H in..
Low-impact patented Magnetic Adjustable Resistance System 8 resistance level options Weight capacity: 300 lbs. Includes 1-year limited warranty Dimensions: 46.5L x 23.25W x 58H in.